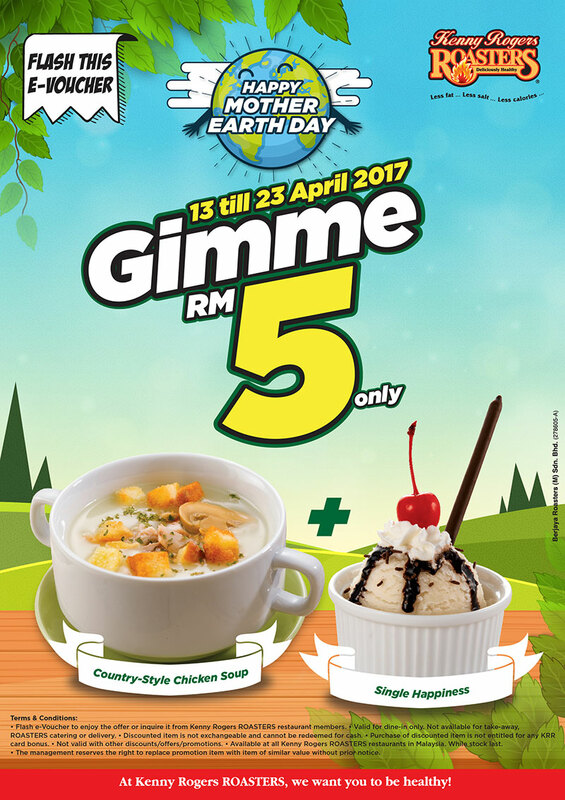 Kenny Rogers Roaster Malaysia is offering you to flash this E-Voucher and enjoy country-style chicken soup and single happiness for RM5 only! Flash e-Voucher to enjoy the offer or inquire it from Kenny Rogers ROASTERS restaurant members. Valid for dine – in only. Not available for take-away, Roasters catering or delivery. Not valid with other discounts/offer/promotions. Available at all Kenny Rogers ROASTERS restaurants in Malaysia. While stocks last.